Hey, welcome back! I’m excited this week because Book #5 in my Fab Five series is coming out in just a few days, on the 22nd! This is the book that will stay with you long after you turn that last page. It was difficult for me to write, and several times I had to get up and walk away and return to it later. It will literally rock you to the core. The story is about a girl in an abusive relationship. Having never lived it, I had to find a way to put myself into the victim’s head. And when I did, I became emotionally attached. I cried a lot while writing and editing this story. My heart went out to my heroine. I know women who have been in similar situations and it made me appreciate them even more after finishing this book. The Advanced Review copies went out Friday night to a few people and I’ve heard back from some of them already. The general consensus was that it was well portrayed and a book that will long be remembered. I hope they are right because this book tells a story…one of survival…and one of the power of love…and of course, the most important quality in the Fab Five books…friendship. More Fab Five drama and this time it’s the O’Gradys facing turmoil at every turn. Chloe’s high-risk pregnancy has her homebound as she and Shane anxiously await the arrival of twins. Shane is busy between home and the office, so when Katy’s son, Alex, moves to Dallas, taking a job in the offices of O’Grady Enterprises, it couldn’t have come at a better time. Alex is attracted to the hostess at Chloe’s Place, Chelsea Wyatt. But Chelsea has a boyfriend…and a secret. When it becomes apparent to all around her she is in an abusive relationship, Alex is more determined than ever to convince her that he is the guy for her. As Chelsea comes to the realization she is falling in love with Alex, he gives her a small glimpse of what life with him could be like. But a bombshell is dropped on Alex when he is told someone is stealing from the restaurant and Chelsea is one of the prime suspects. Determined to prove her innocence, Alex discovers just how devious Chelsea’s boyfriend, Dante, is. And when Chelsea learns the truth and attempts to break free of Dante’s hold on her, he viciously attacks her, leaving her for dead. As Chelsea attempts to recover from the physical and emotional trauma, Alex is by her side. The Fab Five rally around her and Alex, offering help and support. Can the young couple get back to the plans they made for a life together or is Chelsea too emotionally damaged after the attack to even consider it? Chelsea Wyatt parked her car in the employee parking lot of the upscale Dallas restaurant, Chloe’s Place, and looked in the mirror. As she brushed her hand gently across the bruise on her cheek, she decided it was hidden as well as it could be with the makeup she had carefully applied before leaving her apartment. Dante didn’t mean to do it, I know he didn’t, she told herself for the twentieth time. She sighed, picked up her purse and got out of the car. Walking in the back door of the restaurant to begin her shift as hostess for the evening, she hoped no one would notice. She wished she could confide in Alex, her friend at work, but he was the boss’s son. It was probably better not to go there. “Busy night ahead of us, lots of reservations,” Marcos replied, smiling. “Chloe, what are you doing here? Aren’t you supposed to be taking it easy?” Chelsea asked. Chloe was in the beginning stages of a high-risk pregnancy. She was expecting twins and had been told to rest by her doctor. “Oh, that’s so sweet, but it’s a happy thing. Shane and I’ve wanted a baby for a long time. And now we’re getting two, so all’s good! Now that the morning sickness is better, hopefully it will be smooth sailing from here on out,” Chloe replied with a smile. “I guess I’ll see you later.” Chelsea smiled at the younger O’Grady brother as he left the room. “I’d better leave. He’s not going to stand for me hanging around here for long. It’s going to be a long seven months.” Chloe laughed as she left for the corporate office to retrieve her work. Chelsea prepared to take her station at the desk in the lobby. Whew, made it through so far without anyone noticing my cheek. Maybe it’ll be okay. But what Chelsea didn’t realize was that it had been noticed, by both Chloe and Shane. And when Chloe entered her husband’s office, which was in the corporate building next door to the restaurant, she sat down with tears in her eyes. “I wish I could talk to her about it, but I don’t want to embarrass her,” Chloe said, wiping her eyes with a tissue. “Okay, girls, enough about my hot, older brother, you’re gonna give me a complex.” Shane chuckled. “Aw… baby… you’re hot too,” Chloe teased. “Yes, Momma Katy,” Chloe replied humbly. “Love you, see you later,” Ryan replied. “Love you, too.” Katy walked out to her car with Chloe, curious about the urgent matter. “Shane will be there tonight, so if Alex is very upset, he’ll know how to handle it.” Katy pulled into Chloe’s driveway, so the conversation came to a halt. She made sure Chloe was safely settled on her sofa with a cup of tea and her work before she left. I hope you’ll take the time to download and read this story. I believe it will touch your heart and your soul. 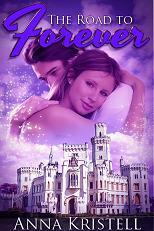 Book # 6 The Road To Forever will be released by LazyDay Publishing on September 25th. 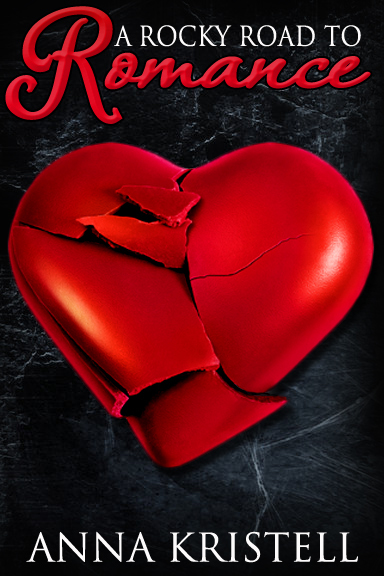 I am currently at work on Book # 7 and it should be released sometime in 2014.